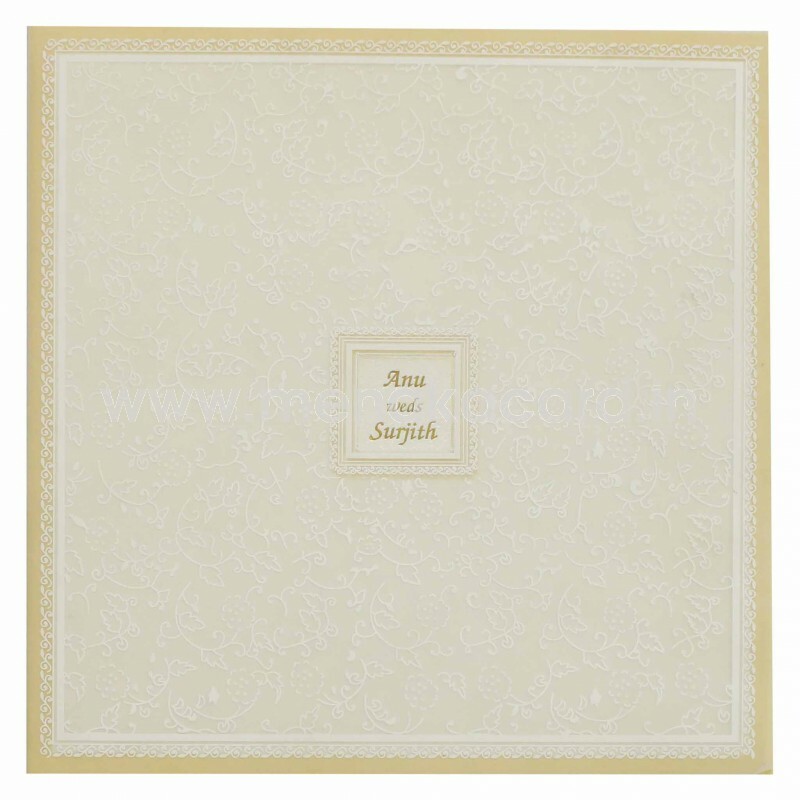 This Exquisite white and gold card is made from a graceful white shimmer board lined with a gold border. The top of this beautiful card is lined with a transparent sheet decorated with delicate white floral filigree and holds a die-cut window at the center that reveals the names of the couple printed in gold foil on the card front below. 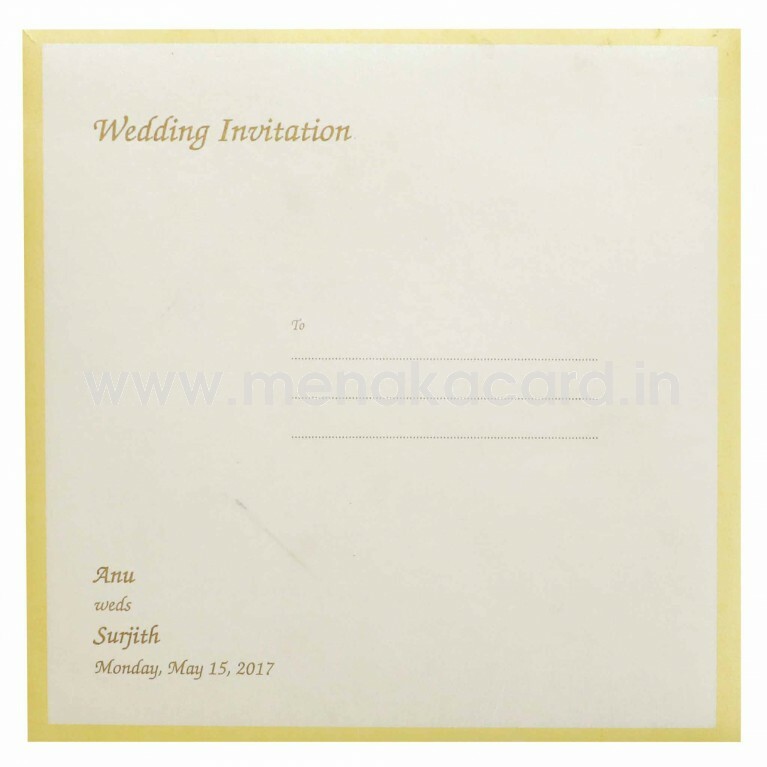 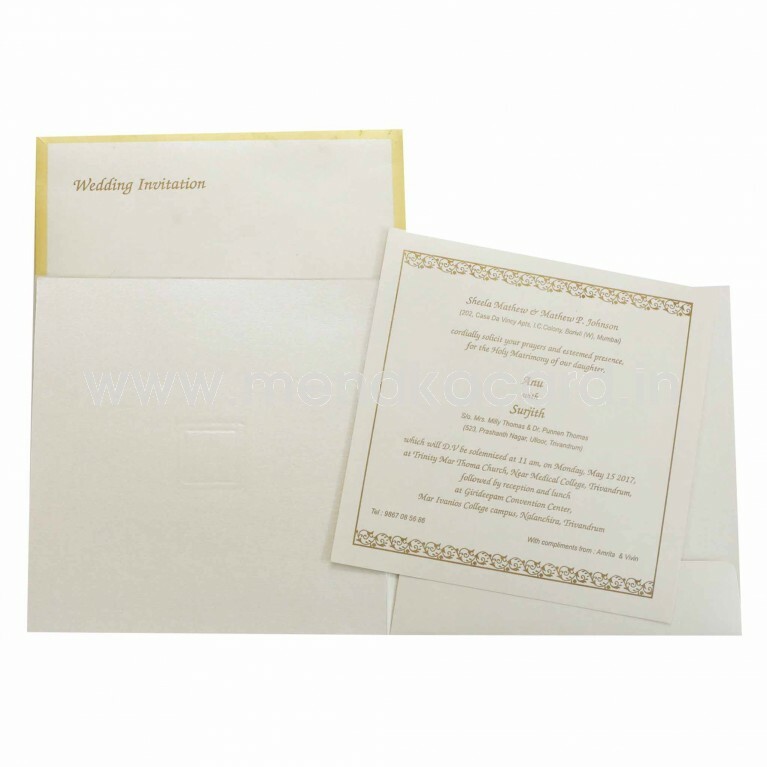 The card holder on the inside holds two delicate off white inserts printed with the same rich gold ink. This can be used for Christian weddings, but can also pass for Hindu and Muslim weddings as well as engagements, receptions, grahapraveshams and upanayanam etc.